Those of you who have perused any of my articles will know by now that I love some Warhammer 40,000; Kill Team included. It ticks all of my boxes with it being grimdark, sci-fi warfare at a smaller scale. This means more games in less time which makes my low attention span very, very happy. So why is it, despite Kill Team being a fun and welcome addition to the Games Workshop lineup, that I feel somewhat let down? The gameplay is solid and familiar. The minor new flavours introduced are welcome and enjoyable. Yet, it seems my personal expectations were set a little too high towards something a little more different. Kill Team slots ever so neatly between the two key audiences of Games Workshop. The small-scale battles appeals to new hobbyists lacking time and funds for huge scale armies. Whilst the veterans of the scene will be chomping at the bit for their treasured, best-painted squads to square-up against their rivals. Appealing to these two targets means that near everybody wins for Kill Team as it makes a viable option for either player be they fresh or grizzled. Of course, attaining players is one thing, but people won’t stick around for long if the game isn’t solidly put together. Unsurprisingly, the game holds to itself quite well. 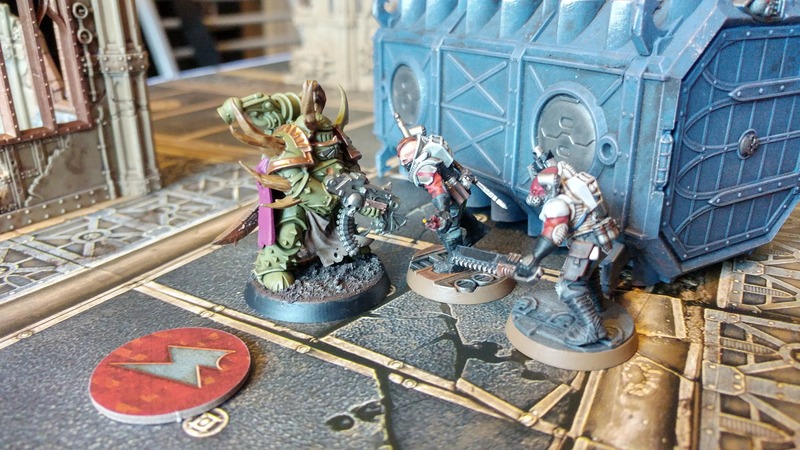 It harnesses many, many facets of Warhammer 40K rules and gameplay. A couple of new inclusions complement it all quite nicely. For instance, the scouting phase allows players to potentially set traps and pick-off enemy fighters before the game has even begun. There’s even rules for models falling off of ledges should they be unfortunate enough. These small new additions do help to make Kill Team feel like it’s developed slightly from its last outing in 2016. However, whilst Kill Team this time round has grown along with Warhammer 40K via 8th edition, there’s not a whole lot here that’s particularly new. Now, don’t get me wrong, I’ve been very excited for Kill Team. I’ve played this new rendition of it and I’ve certainly been enjoying it. However, I cannot help but feel that there was a chance here for something different. Games Workshop has been absolutely nailing it over the last five years or so. The latest edition of Warhammer 40K is the most accessible and refined to date. 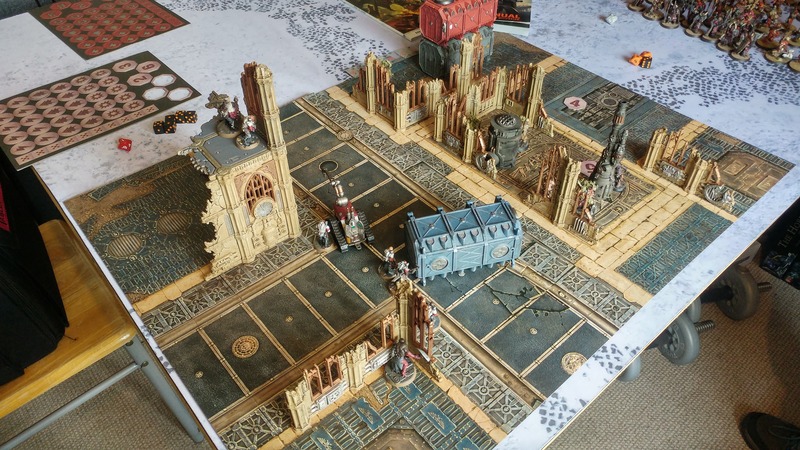 Age of Sigmar sits just as well in terms of its playability. Plus, let’s not forget the quality of models and specialist games that have been coming out in recent memory. It feels like the right time for Games Workshop to start taking risks, to try things differently, throw some caution to the wind. I can’t help but feel like Kill Team would have been a good opportunity to usher in some out-of-the-box ideas and bespoke gameplay elements. From a business perspective it makes sense to play it safe with targets and margins in mind. However, I can’t help but feel like this could have been something fun, but also different if given the chance. Regardless of the staleness of some of the gameplay elements, I cannot say that they don’t work. They absolutely do. It would be oversimplifying it to say Kill Team is simply 40K scaled back. 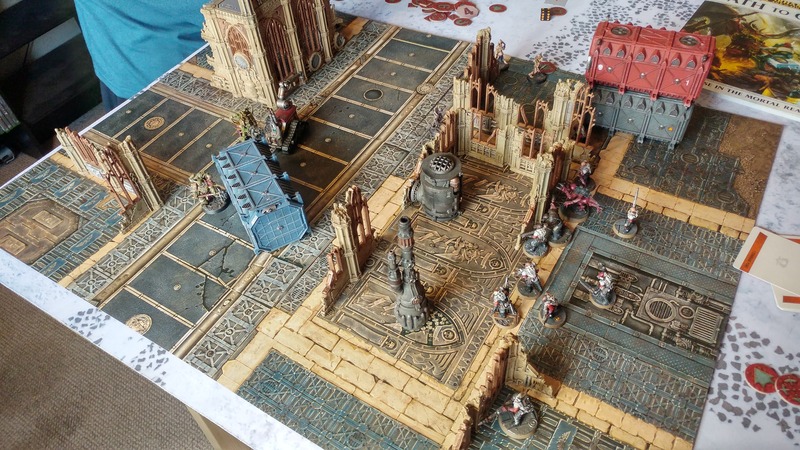 Kill Team does just enough to stand out on its own. The aforementioned new phase helps, as does the new alternating turn sequence. The nifty missions included in the rule book also aid its individuality somewhat. Be it simply trying to wipe out the enemy squad in a cluttered street or to run your models across the enemy board edge to assault the civilians beyond. There’s plenty to do despite the small model count. As also stated previously, the fact these games are so small means you can play a series of games in no time at all. I’d even go as far as to say that a campaign could be played in a day or weekend. Couple this with the included role-playing elements for your teams and Kill Team makes for an entertaining amalgamation of skirmish combat with role-playing game. Each faction has different rules and tactics enough for them to feel individual. Be it the unstoppable Necrons whom plod relentlessly forward or the Genestealer Cultists who pop up out of nowhere with volleys of autogun fire. There’s likely a faction out there to appease any player or any style of play. The only issue I find here is that some factions are somewhat more restricted than others. For instance Heretic Astartes are limited to Chaos Marines and Cultists; not a single Possessed daemonkin in-sight! It feels like this may have been possible and would have been a nice extra dash of diversity and flexibility. Chances are we’ll see some additions of some applicable fighters in upcoming expansions. But I suppose we’ll have to see. I’ll also say after playing a fair cluster of Kill Team games that there’s certainly some good balance to the game. The tactics/command points system coming from 40K absolutely helps this, for sure. With the familiar components of movement, psychic, shooting and fighting phases, there’s very few surprises to unearth. I’ll say in my experience the biggest advantage you can get is in numbers. 13 Genestealer Cultists with autoguns will stand a high chance of putting down 5 Plague Marines and 3 Poxwalkers in swift time. This might be my bad luck with the dice, but having those extra shooting attacks certainly seems to make a big difference. 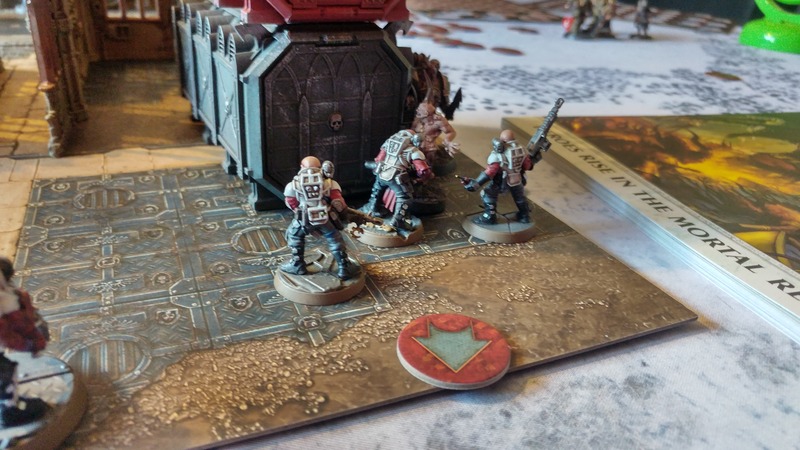 Overall, speaking as a long-term 40K player, Kill Team feels like stepping into your favourite restaurant for a light bite. You know what to order and you know you’re going to enjoy it, you always do. However, I wonder what would happen if we were willing to try straying from the beaten path. Should we be willing to dig a little deeper we may well find the next big thing. Shadespire shows us that this is possible and, perhaps, Kill Team could have been the 40K equivalent. For now, it remains an enjoyable, if somewhat safe option for skirmish warfare. For all the latest news and updates on everything Tabletop, be sure to follow us on Facebook.